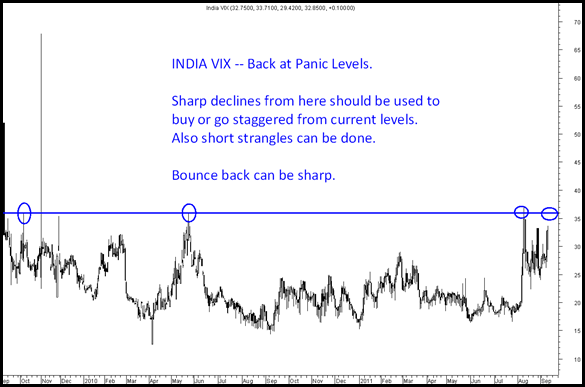 Alert – INDIA VIX at 33-34 levels . ATM Vols also at 31 and OTM vols 35-38 % – Panic indicator at high buy staggered or in sharp declines. 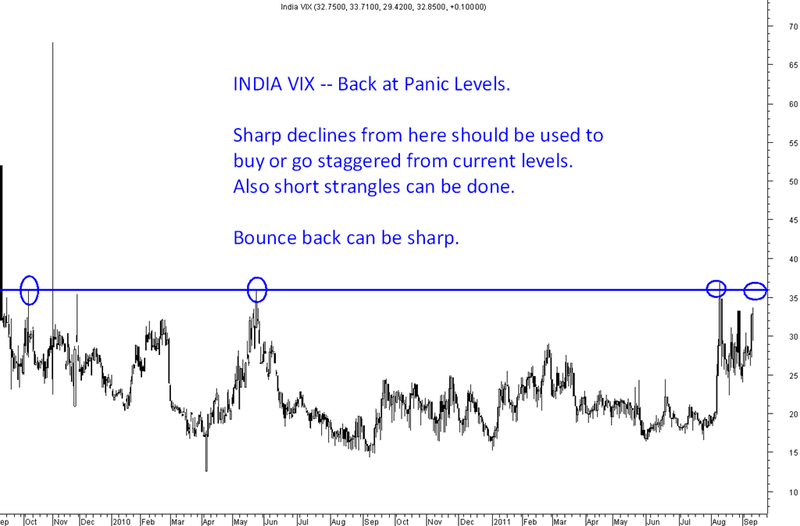 The VIX made a high of 36-37 in previous panics as shown in chart. The markets are pricing in sharp moves to the extent of 5-7% indicating lot of fear and hedging taking place on back of possible global announcements or RBI hit. The last two two times INDIA VIX was above 32 was on 09/08/2011 – Nifty was 4950-500 it bounced to 5195 and next on 26/08/2011 it traded at 32 – Nifty was at 4720-4750 it bounce back to 5150 +. So panic is at high watch if there is a sharp correction one can look for stock specific buying. Nifty support points 4850/4720 in panics. Possible bounce back candidates if there is further drop of 3-5% in following stocks SBI, M& M , Maruti, LnT , Metals like – Hindalco/Sterlite/Tata Steel and Infrastructure stocks. Buying staggered or on declines should be with a view to exit on bounces. Only time Index has traded above 38-40 vols has been in 2008 Lehmann collapse period. Fear hit a 10 year High around the World ! 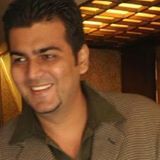 as per my technical knowledge rajesh expo is one of thebest for now regarding breakout. above 115 it will reach 124-135 check at ur end & confirm.